Demi Lovato attends the American Music Awards at Microsoft Theater on November 19, 2017 in Los Angeles, California. Demi Lovato celebrated six years of sobriety with her followers on Twitter Thursday afternoon. The singer and songwriter thanked her family, friends and CAST centers, a mental health and wellness program organization she created to help people struggling with addiction receive treatment, for being integral to her journey and recovery. Today is a very special day for me... I'm officially celebrating 6 years of sobriety!! I'm so thankful to my family, friends and @castcenters for being a part of this journey. A huge part of my recovery was learning to love myself and to give back to others. 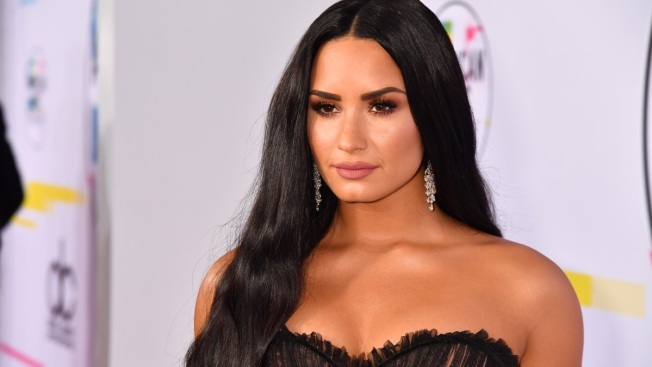 Lovato proclaimed "it IS possible" in her celebration tweet and launched a contest with CAST centers to give her fans and others that have recovered from addiction a chance to tell their stories. "A huge part of my recovery was learning to love myself and give back to others," Lovato said in her tweet. "We're launching a contest to give you guys the opportunity to use YOUR voice & share your stories." The contest will give one person the chance to be a special guest speaker during the final US concert on Lovato's #tellmeyoulovemetour in Tampa, Florida. The winner will be selected on the CAST tour Instagram on March 27th.